Apple has released iTunes 12.1, an update that adds an optional Notification widget, improves syncing with iOS devices, and tweaks the look of the app’s Info windows. To add the Notification widget in OS X, open Notification Center, scroll to the bottom, and click the Edit button. To the right you’ll see an iTunes entry. Click the Plus (+) button next to it to add the widget. Once added you’ll find a set of play controls along with track, album, and artist name. If you’re listening to an iTunes Radio station, you’ll also see a buy button. Click it and iTunes moves to the front and prompts you for your Apple ID and password. 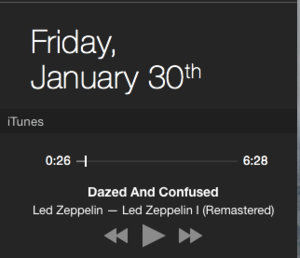 As pointed out by Kirk McElhearn, iTunes 12.1 also changes the look of the Info window. 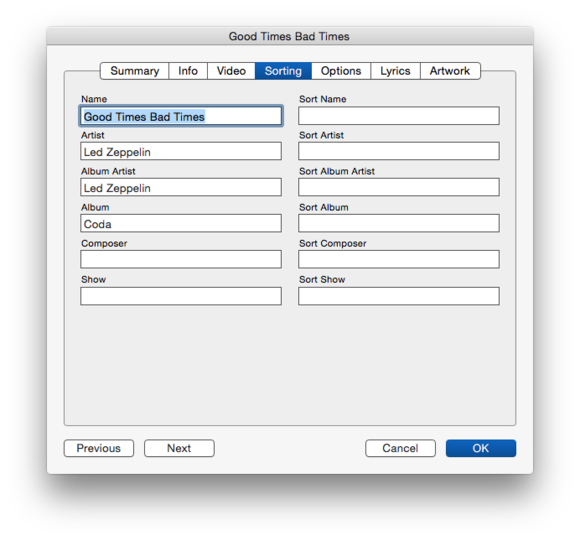 In the original implementation of iTunes 12, Info windows lacked visible field borders, making it difficult to determine what was editable. iTunes 12.1 places a border around these fields. The old and new Info window. iTunes 12.1 also removes the old-fashioned Info window that was available if you held down the Option key and then chose File > Get Info. Holding down the Option key with this latest version of iTunes has no effect on the look of the window. The Info window of old is now gone. The iTunes 12.1 update is available from the Mac App Store or, for Windows users, from the iTunes download page.